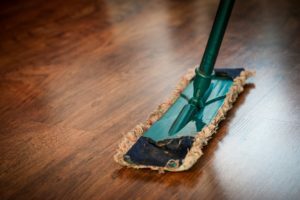 Whatever your business type, from offices, medical, hospitality, through to retail, MidAtlantic Maid is fully equipped to provide a top-quality, consistent and flexible cleaning service. Mid-Atlantic Maid is providing environmental cleaning solutions with quality and Integrity. We provide natural cleaning services – cleaning that care about your health and well-being. If you want the best house cleaning, go with an expert cleaning team that absolutely loves housework! Regular cleaning services are available on daily, weekly, bi-weekly or monthly basis to suit your schedule. The cleaning industry has two primary market groups: residential and commercial. We service both in Washington DC, Potomac, Chevy Chase, Gaithersburg, Rockville and Silver Spring area. We offer regular house cleaning services, that can be arranged on a Whether you are an estate agency or landlord with multiple rental properties to manage – or an individual who is moving home, we offer comprehensive move-in and move-out “end of lease” cleaning services. Our extensive experience and passion for great service will result in your total satisfaction. We understand that every customer and property is unique and that your individual needs must be met. We encourage open communication and welcome all feedback, which enables us to deliver a thorough and meticulous job every time. We stand by our reputation; if you are not completely satisfied with the work completed for you, we will return and rectify the job, FREE of charge. We listen and consult with our clients to create a best value service package – one that includes a comprehensive list of commercial cleaning and maintenance services, both reactive and programmed, together with the provision of essential services and consumables. MidAtlantic Maid provides one of the most flexible, customized domestic cleaning services around. You can choose just the cleaning services you need or engage us for regular full housekeeping services. MidAtlantic Maid is here to give you back the time you need to maintain your lifestyle. We are here to help you with everything related cleaning services.